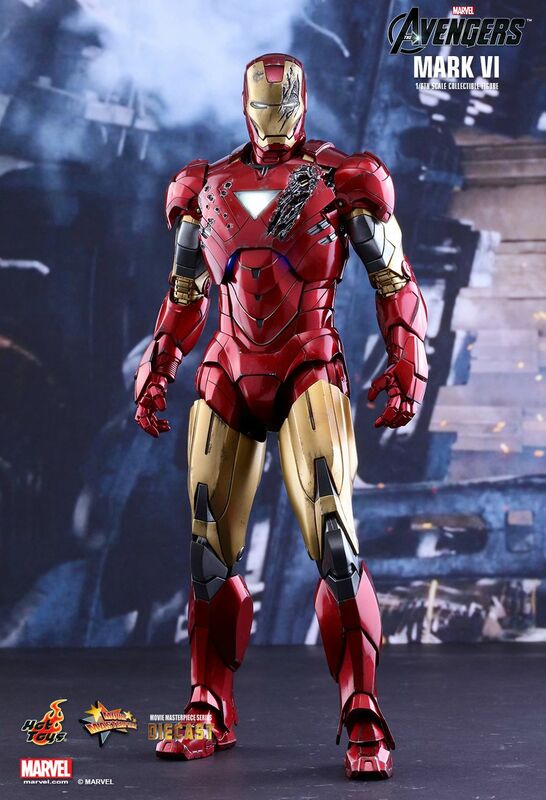 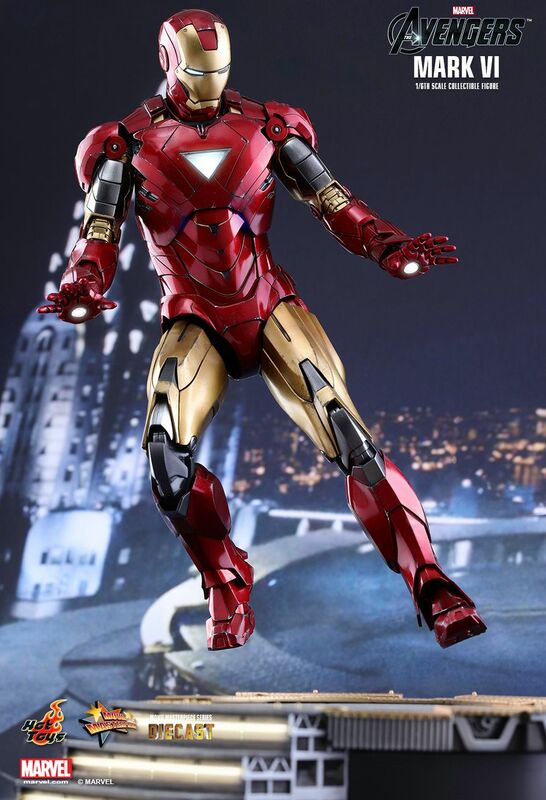 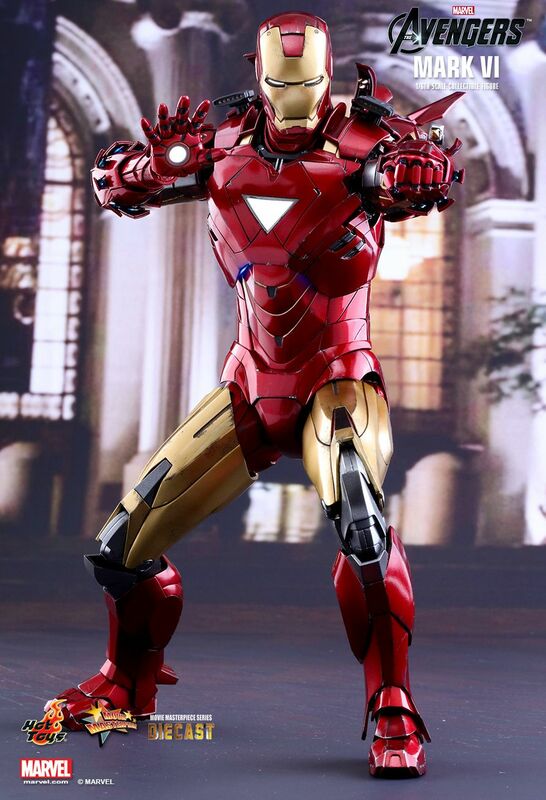 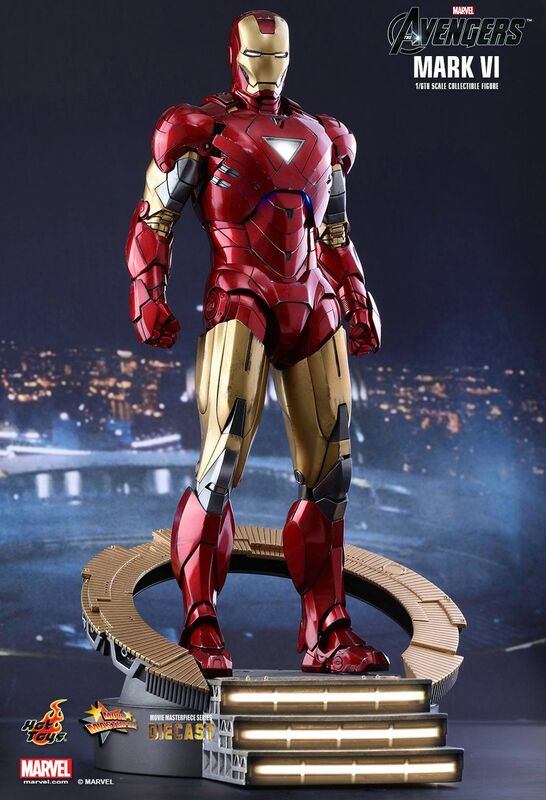 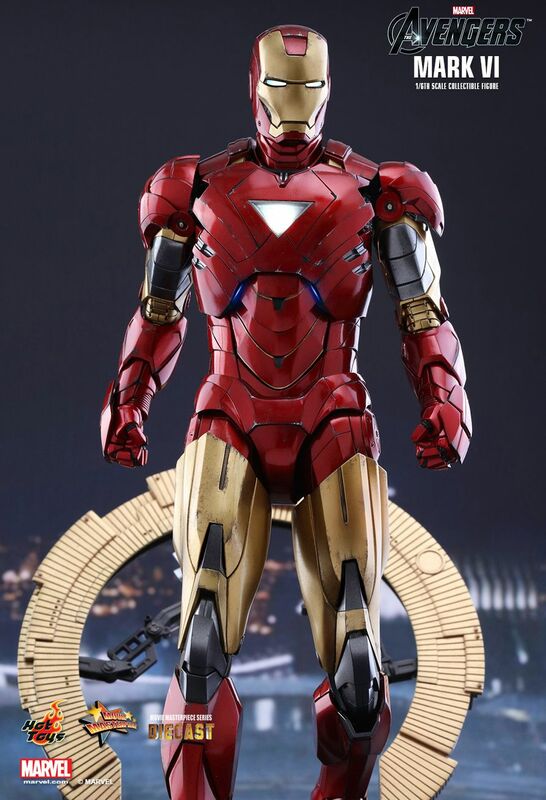 Many fans consider the Iron Man Mark VI to be one of their favorite Iron Man suits that Tony Stark has used in the Marvel Cinematic Universe. 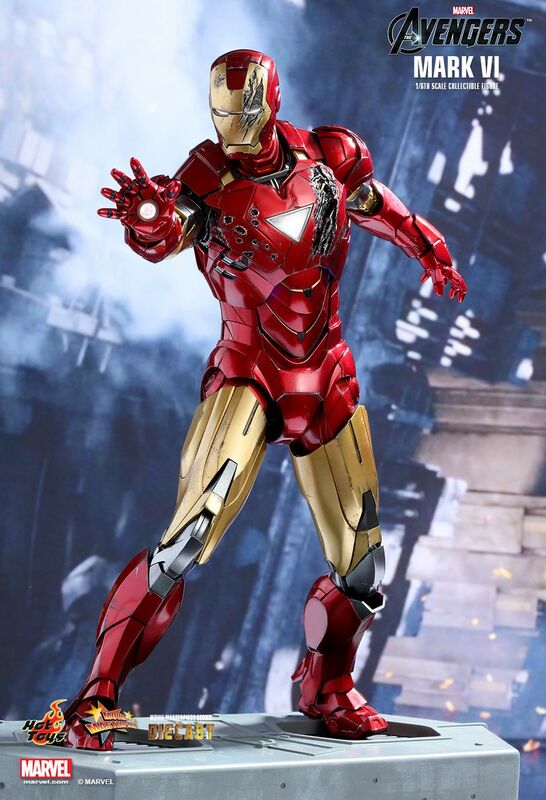 Featuring an all-new arc reactor core and new triangular shape design, the Mark VI is able to fend off Hammer Drones and withstand the powerful lightning strikes from the mighty Thor! 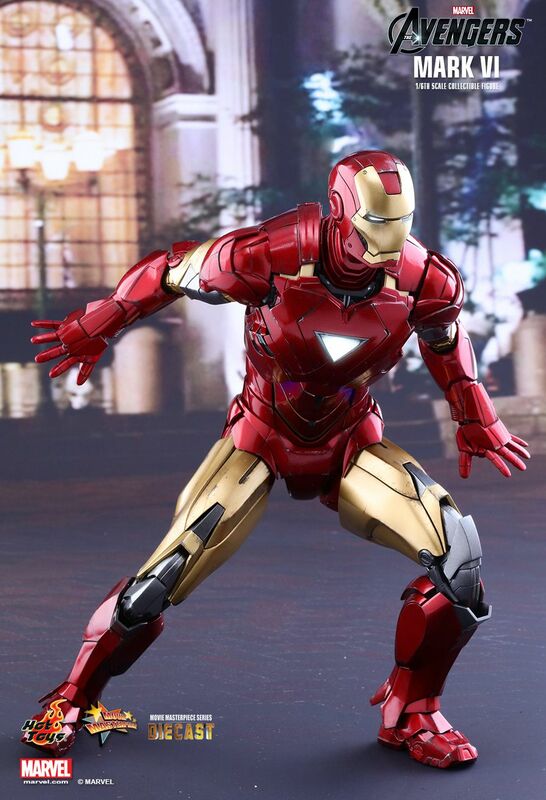 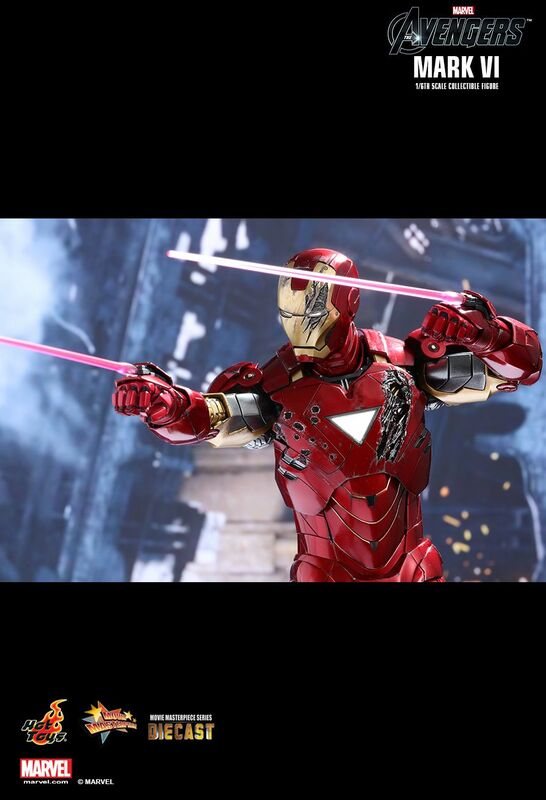 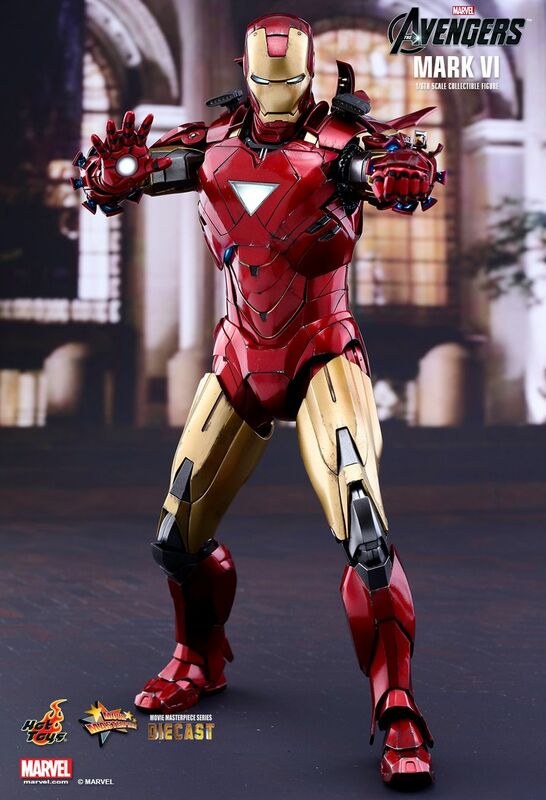 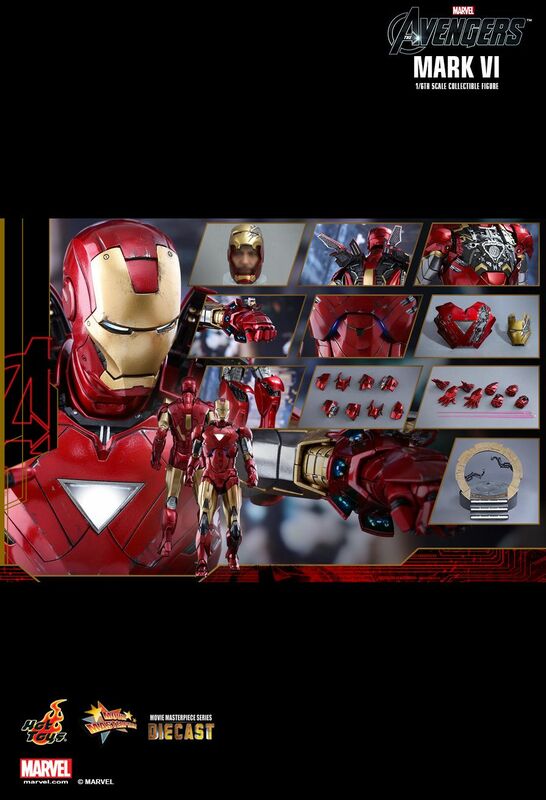 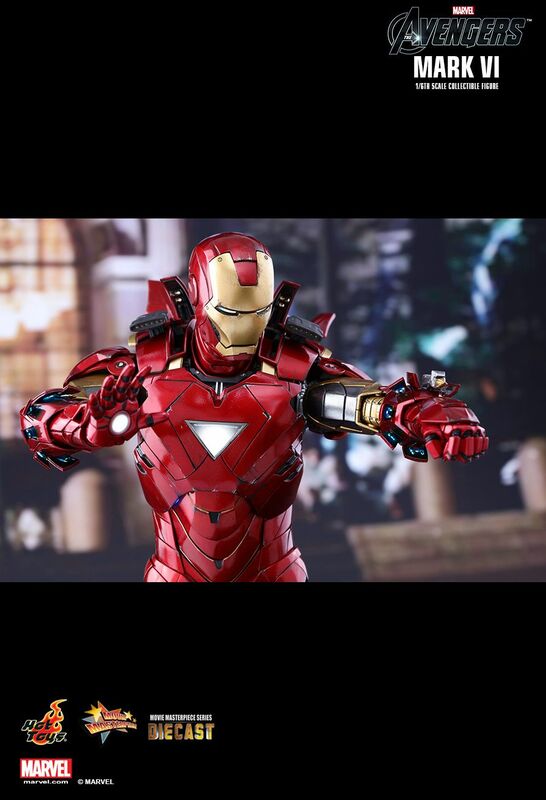 Sideshow and Hot Toys are thrilled to revisit this fan-favorite suit and officially introduce a brand new sixth scale collectible figure in the MMS Diecast Series - the Mark VI as seen in Marvel’s The Avengers!